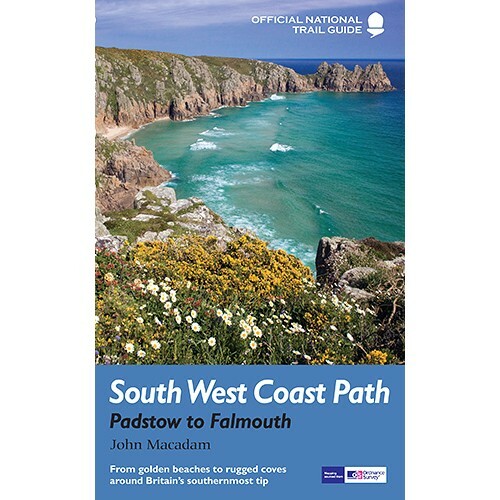 The South West Coast Path is the longest of Britain's National Trails, following the spectacular coastline for 630 miles around the southernmost tip of England from Somerset all the way to Dorset. 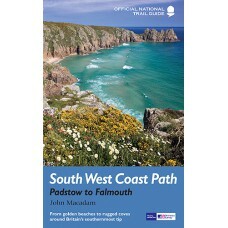 This volume features the second section of 169 miles (271 km), from Padstow in north Cornwall to Falmouth on the south coast. 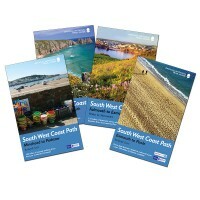 From the surfing mecca of Newquay and St Ives’s golden beaches it hugs the rugged clifftops round Land’s End and the Lizard – as far west and south as it is possible to go in Britain – visiting serpentine harbours and craggy coves such as Cadgwith and Porthcurno with its dramatic open-air theatre. Besides truly wild sea-life like seals and fulmars, the Path offers the only chance anywhere in the country to see the delightful red-beaked chough. For the holiday stroller or the long-distance walker, this official guide contains everything you need.